Mammoth Lakes Trail System Projects - More information coming soon! As a contractor to the Town of Mammoth Lakes for a variety of efforts on the Mammoth Lakes Trail System, MLTPA is providing this Projects section of our website to host and provide information on all aspects of the Mammoth Lakes Trail System, from Planning and Implementation to Operations, Maintenance and Stewardship. The program areas listed on the left side on the page will provide you everything you need to know – starting from back in 2006 – so explore, dig around, take a deep dive! 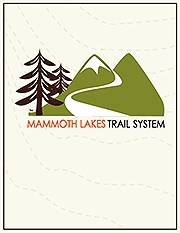 For specific information on your next adventure on the Mammoth Lakes Trail System, please be sure to visit the official Trail System website at mammothtrails.org. For information on the Mammoth Trails Committee and its regular public meetings, including information on the budget and governance of the Mammoth Lakes Trail System, please email Emily Woods at Mammoth Lakes Recreation. And through our e-newsletter, we regularly provide subscribers with all kinds of information on the Mammoth Lakes Trail System; if you would like to be added to this list, please click on the "E-Newsletter Sign-up" box on the left side of this page. MLTPA's mission is to be actively engaged with the planning, implementation, and stewarding of trails and public access in Mammoth Lakes and the immediate Eastern Sierra. We work hard to ensure that trails, public access, and recreation remain high priorities of all the various efforts of the Mammoth Lakes community, and to ensure that the Town’s General Plan policies and goals regarding these areas are met and, whenever possible, exceeded. Be sure to check out the Advocacy section of our website to review MLTPA efforts such as the Eastern Sierra Recreation Collaborative, and comments on a variety of public projects, from real estate developments to Neighborhood District Plans to all manner of trail and public access projects on Town and federal public lands. Most importantly – find your adventure on the Mammoth Lakes Trail System!